Are you selling the perfect Christmas Gift this year? Showcase your business to tens of thousands of local Northern Beaches Mums! 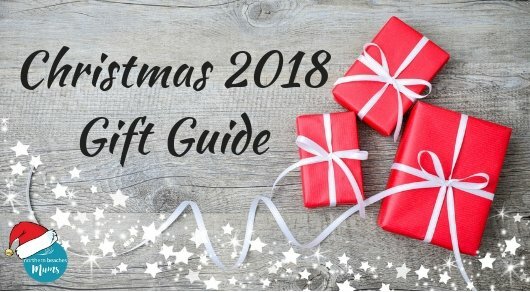 Our mums love to support local businesses and receive recommendations for great Christmas gifts and services, so once again we will be running the NBMs Christmas Gift Guide. The campaign will reach 10s of 1000s of mums by running across our website, our Facebook Page, our 4 Facebook Groups, our Instagram, a special edition newsletter and in our weekly newsletters. So if you are selling gifts, experiences or services this Christmas, this is the guide to be in! Special: different our other campaigns, we have included a Facebook Group post in this campaign – worth $149.00 plus GST. soda blu is a stylish swimwear range for girls aged 0 – 14. Embracing vibrant tropical watercolours, fresh whites and beautiful beachside custom prints with imported Italian fabrics, the range is designed to mix and match. Proudly designed, made and printed in Sydney, soda blu swimwear is “kid tested” and made from the highest quality soft, quick drying Italian fabric. As well as chlorine resistant, our fabrics have a UPF rating of 50+. Soft, durable and well lasting…..so you can pass onto your little sister after a season in the sun and water.